We specialize in LED lights, LED bulbs, LED down lights, decoration lights, outdoor lights, ceiling fan, table & stand fan, etc. 7, 8, 9, Jalan Emas SD 5/1B, Bandar Sri Damansara, 52200 Kuala Lumpur, Malaysia. We specialize in LED light box, LED display screen, display printing, advertising, signboard and interior design. 3A, Jalan One Industrial Park 1, One Industrial Park, 43300 Seri Kembangan, Selangor, Malaysia. 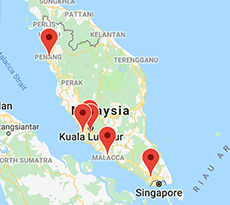 Our headquarter is based in Batu Berendam, Melaka, Malaysia. The company is a well-known LED lighting products supplier company. 25, Jalan PM7, Taman Perindustrian Merdeka, Batu Berendam, 75350 Melaka, Malaysia. Swongroup Marketing Sdn Bhd offers a wide range of high quality LED lighting products with the commitment of excellent customer service. 2-2-51, 2nd Floor, Wisma Rampai, Jalan 34/26, Taman Sri Rampai, Setapak, 53300 Kuala Lumpur, Malaysia. G&H Electrical Trading Sdn Bhd is a LED light bulb, cable and wiring supplier company. Our office is located in Pudu, Kuala Lumpur (KL), Malaysia. 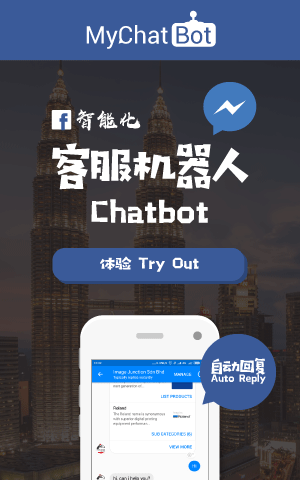 24, Lorong Yap Hin, Off Jalan Pasar, Pudu, 55100 Kuala Lumpur, Malaysia. We specialize in lighting design & consultation, mechanical & electrical, lighting stimulation plan, lighting system design & maintenance and street light maintenance. We supply LED lighting, LED bulb, down light, LED ceiling light, track light, wall light, etc. 7-1, Jalan Temenggung 23/9, Bandar Mahkota Cheras, 43200 Kajang, Selangor, Malaysia. ADS LED Illumination Sdn Bhd is a LED lighting manufacturer in Malaysia and incorporated on 2010. Our main office is located in Perai, Penang. 12, Lorong Perusahaan Maju 13, Taman Perusahaan Pelangi, 13600 Perai, Penang, Malaysia. L&Q Light Box Advertising Media Sdn Bhd is a LED light box supplier company. Our main office is located in Balakong, Selangor, Malaysia. No.8, Jalan Alfa Impian 1, Taman Perindustrian Alfa Impian, 43300 Balakong, Selangor, Malaysia. JMLite Solutions is a company that supplies Electrical and Lighting Component, Instrumentation and Engineering focus into Industrial & Building of major project. Our main office is located in Cheras, Selangor, Malaysia. Q Two Sound & Light is a company that specializes in stage lighting, sound system, projection & P.A. system entertainment for all occasion, private function, etc. Our main office is located in Klang, Selangor, Malaysia. We specialize in LED lighting and LED fixtures. Electronops Pte Ltd is a leading lighting supplier company in Singapore. We supply a wide range of products such as bulb, light engine, downlight, T8 tube, T5 tube, floodlight, lowbay, highbay, hybrid and street light. 162, Pandan Loop, Singapore 128359. We offer LED lighting such as flood light, high bay, street light, spot light, track light, hybrid lighting, low bay lighting, etc. Starry Led lighting Solution is the leading LED lighting supplier and dealer in Malaysia. Our company is located in Batang Kali, Selangor. Prima Control Technology PLT is a company that supplies electronic component on switches and control button. Our company is located in Bandar Sri Damansara, Kuala Lumpur. We are a toner cartridge and gaming mouse supplier company located in Kuala Lumpur, Malaysia. An elevator automation, LED lamps & fixtures, and power converter (E-Bop) & fabrication parts supplier company located in Puchong, Selangor, Malaysia. Our company has set up sales management and technical support offices across the globe including Mainland China, Indonesia, Korea, Japan, and Singapore. Our product includes electrical accessories & equipment, fabrication parts, factory automation, and lighting. Trans Wong Sdn Bhd started its beginnings more than 30 years, which its core business was the trading of electrical components. Today, Trans Wong is headquartered in the KL Industrial Park in the heart of Kuala Lumpur. It has also diversified its business into 3 core business lines, namely Sourcing, Manufacturing and Distribution & Retail. B5-12, KL Industrial Park, 5 Miles, Old Klang Road, 58200 Kuala Lumpur, Malaysia.